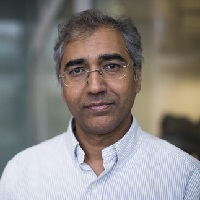 Professor Inderjeet Parmar will be among the panelists at Clinton vs Trump: What Does America Stand For? US politics experts will discuss the 2016 US election at an event at City, University of London. The free public panel discussion - Clinton vs Trump: What Does America Stand For? - will take place on Wednesday 2nd November, from 5.30pm. Among the subjects being discussed are: why women are still voting for Trump; links between US political change and the unravelling of the current global order; racial issues including Black Lives Matter; a class-based analysis of the election. The event is organised by the Centre for International Policy Studies (CIPS), in the Department of International Politics. Venue: Room A130, College Building, City, University of London, St John Street, EC1V 4PB.